David Maljkovic’s work occupies an indeterminate place and time that present the future as a mirror of the past. 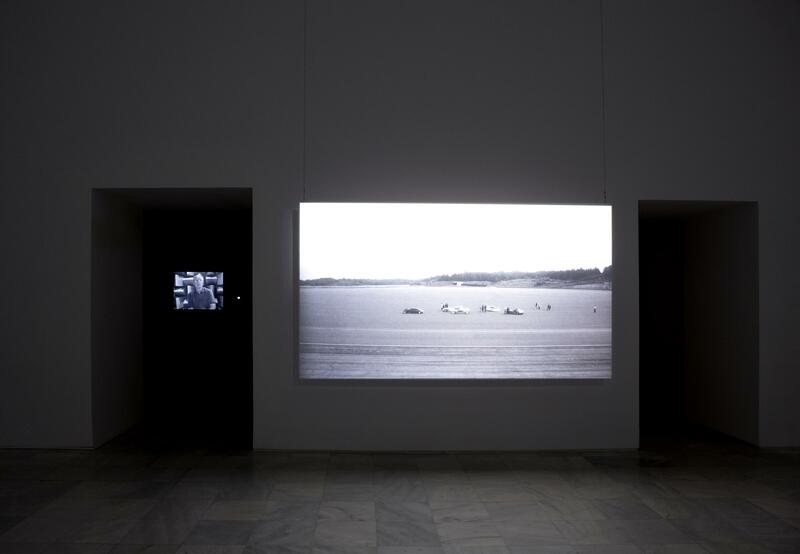 Maljkovic works with the moving image, as well as other supports like installation and collage, in order to articulate tales that are a hybrid of science fiction and documentary. In Out of Projection, a piece produced by the Museum as part of the exhibition programme Fisuras, he takes the viewer to a secret Peugeot test track in Souchaux (France), where retired workers from the company move slowly around the track alongside futuristic prototypes of cars designed in the past. The futuristic prototypes are used in architectural settings of the Croatian Modernist movement, the subject of one of the artist’s earlier projects, Lost Review (2008). The work presents an exercise in retrieval of memory, whether personal or collective, and of the utopias and ideologies of the 20th century. David Maljkovic belongs to a generation of artists who, faced by the exhaustion of the concept of Postmodernism, are going back to the modern project. By imagining the future from the past, they are engaged in an archaeological examination of 20th century modernism, which often means turning these failed projects into possible utopias, or into exercises of reimagining the future. David Maljkovic : podobe z lastnimi sencami = images sith their own shadows : [Mala galerija - Moderna galerija, Museum of Modern Art, Ljubljana, 26.1-14.3.2010] / Kustos = Curated by : Igor Spanjol. Place with limited premeditation / David Maljkovic ; [interview, Charles Esche ; editing and design, Damir Gamulin, David Maljkovic]. Maljkovic, David ( 1973-)Amsterdam : Artimo, 2005. David Maljkovic : lost review. Maljkovic, David ( 1973-)London : Koenig Books, 2008.